Spring has sprung! Your bike has been parked for months and now it’s time to fire it up and ride. Whoa! Slow down friend. Is your bike up to it? How about your gear? “Time” can have detrimental effects and we want you to enjoy your first ride to the fullest so we suggest you take a little “time” to give your baby the once over. A good place to start is the fluids. Check all your fluid levels. If you properly winterized your motorcycle then you should have a full tank of gasoline to prevent rust and corrosion and used a fuel stabilizer. If you missed that last step you will need to drain the old fuel and put in some fresh gasoline. While the tank is empty you should inspect it to make sure that there is no corrosion or rust as this will cause your motorcycle to run poorly or not at all. If you detect any corrosion you should have your fuel tank flushed. If you didn’t run your carburetors dry before storing your bike then you definitely want to pull your float bowls off and make sure things don’t look gummed up. If they do, then your jets are likely also plugged up. 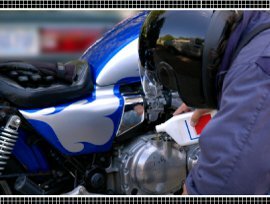 If your motorcycle has a fuel filter, this is a great time to replace it. Next you want to check your anti-freeze levels on liquid cooled motorcycles. If your coolant has dropped below the full line, check for any rust or corrosion on the exposed metal. Coolant should be changed every 1-2 years so if it has been a while you should take the opportunity to change it. Next you are going to want to change your brake fluid. Cold winters will cause brake fluid to break down and increase stopping distance so make sure you don’t skip this step. Refer to your owner’s manual if necessary. If you winterized your bike with any anti-rust, you’ll want to clean this off as well. Check the tension of the drive chain by pulling it away from the rear sprocket at the three o’clock position. (Nine o’clock if you’re left handed) you should not be able to pull it farther than about half way off the sprocket tooth. Adjust the tension per your owner’s manual specs. The inner area of the chain that contacts the sprocket should be clean, smooth and shiny. Inspect the chain inch by inch for any unusual wear as well as the sprockets for wear or broken teeth. If your bike is belt driven follow the directions above by giving it an inch by inch inspection keeping an eye open for cracks or unusual wear. Hopefully you’ve had your battery on a battery tender during its down time. If your bike is being stored in an area less than 32 degrees it’s best to remove the battery and store it in a warmer location. Check your batteries terminals and clean if needed. Check the batteries electrolyte levels if applicable and top off with distilled water only. If after a proper charging your battery still is not turning your engine normally then you should replace it before it becomes a big problem. Check your tires pressure. It’s always a good idea to do this periodically during the storage period to ensure they don’t go flat over the winter. In fact the best way to store your motorcycle is on a stand so the weight of the motorcycle is not resting on the tires. Bring the tires to the proper inflation if needed. Check the tires for any unusual wear or cracks. If you see any signs of tire damage replace the tires immediately. Tire inspection and maintenance should be a regular part of your riding routine. Give your brake pads a visual inspection. Refer to your owner’s manual to assure you have plenty of wear left. If they look worn, the beginning of the season is the best time to change them. While sitting on the bike, take it out of gear and roll it forward. Gently apply the front brakes. The brake lever should operate smoothly and the bike should slow to a stop with little to no noise from the brakes. Release the brake lever. It should return smoothly into position and the bike should now roll freely with no dragging of the brake calipers. If they drag, they need work. This is also a good opportunity to check for play in your steering stem and verify the bearings are functioning properly. Check your bikes electrical. Test the head light and high beam. Check your break lights and turn signals. Test the horn. Make sure all of the gauges are illuminated and functioning properly. Break out your tool kit and give your bike a thorough going over. Check all the handlebar controls and make sure they are tight and properly positioned. Check all nuts, bolts and screws that you can and make sure everything is snug and use where necessary. Pull off your air filter and make sure it is clean and your motorcycle can breathe. Check the mirrors, foot pegs or running boards and don’t forget to check the oil drain plug. Visually inspect your forks and rear shock for any signs of a blown seal. If you do find a leaky seal have it fixed before riding your motorcycle. Finally, make sure your motorcycle is clean and polished. Mirrors should be clean and reflective surfaces should be free of dirt and grease. This is also a great time to recondition your leather saddle/fender bags. Now that you’ve given your bike the once over, how about your riding gear? It’s no less important that your gear be in as good of shape as your bike. Lay out all of your gear and start from the bottom up. Check your boots. Make sure all bindings, buckles, snaps, lacings, et cetera are in good shape and hold tight. If you wear leathers, inspect them for tears and worn spots. Thin leathers aren’t much better than no leathers. Check all padding and protectors for chest, elbows, knees etcetera. You want to make sure these stay in place if you ever need them. Spend a little extra time going over your helmet. Look for any wear on the straps. Make sure the padding is firmly in place with no tears. Check the exterior for any unusual looking wear or stress fractures. If your helmet has ever suffered an impact through a crash or other means, you may seriously want to consider replacing it. Even what you may consider to be a minor impact may compromise the integrity of the helmet. Your helmet is your best and last line of defense in a crash. Don’t hit the road without the ultimate in head protection. O.K. Your bike is in tip top shape. Your gear is looking good and fitting great and your helmet is damage free. So you’re all ready to ride right? Well, maybe. Have you checked yourself out? Remember, you’ve also been parked for 8 or 9 months along with your bike. 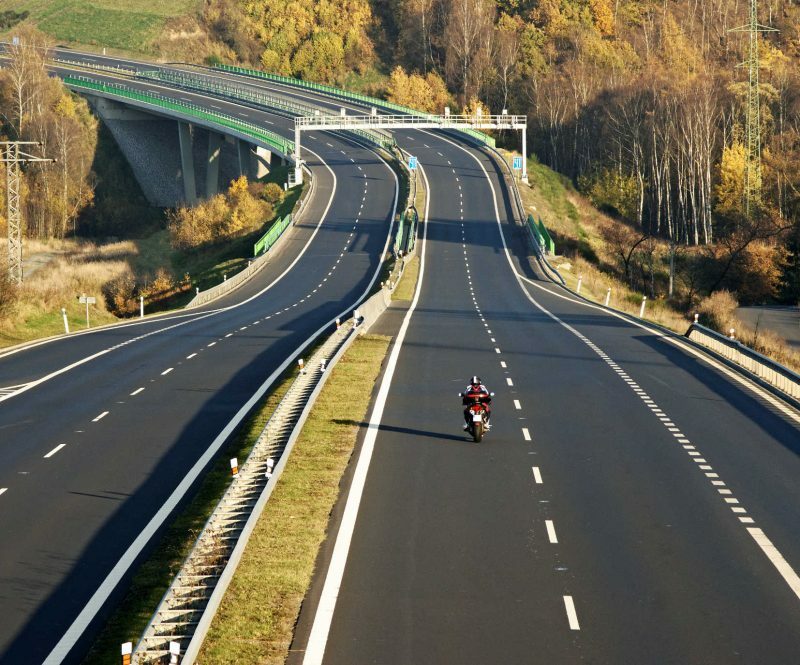 Take a few minutes and remind yourself how to ride before you hit the open road. Take your bike around the neighborhood and get the feel of it again. Brush up on your emergency skills. Emergency stopping, obstacle avoidance, quick turns and even going slow without wobble. You’ve not done this all winter and taking just a few minutes to re-acquaint yourself with your bike could save you from costly repair or injury. Now, your bike, your gear and your skills are in peak condition. Go enjoy the great spring weather, have a rockin’ and ridin’ summer, and as always “RIDE SAFE”.